Limelight’s State of Online Gaming 2018 market research shows the growth in the amount of time gamers are spending not just playing their favorite games, but also watching others play games online. In fact, Millennial gamers are already spending more time watching other people play video games online than they spend watching traditional sports on television. This will have major implications for traditional sports teams and leagues as they try to capture the next generation of fans. Gaming has gone mainstream, with almost 80 percent of gamers playing for more than one hour each week. Gamers spend an average of nearly six hours each week playing, with gamers 18-25 spending the most time, at more than seven hours each week. A variety of devices are used for gaming. Mobile phones are the primary gaming device for people 45 and younger, while computers are the preferred device for those 46 and older. Mobile phones are also the primary gaming device for women, while men prefer to use a computer. Globally, gamers play casual single-player games more than any other type, followed by single-player role play, first-person shooter, massive multi-player online, and casual multi-player games. However, in Japan gamers prefer single player role-play games. Older gamers spend most of their time playing casual single-player games, and very little time playing other types of games. Younger gamers prefer to play casual single-player games, but they also spend a significant amount of time playing role-play games and first-person shooter games as well. With the rapid growth of esports and online sites such as Twitch, gamers were asked how often they watch other gamers playing online, esports tournaments, traditional sports online, and traditional sports on broadcast television. 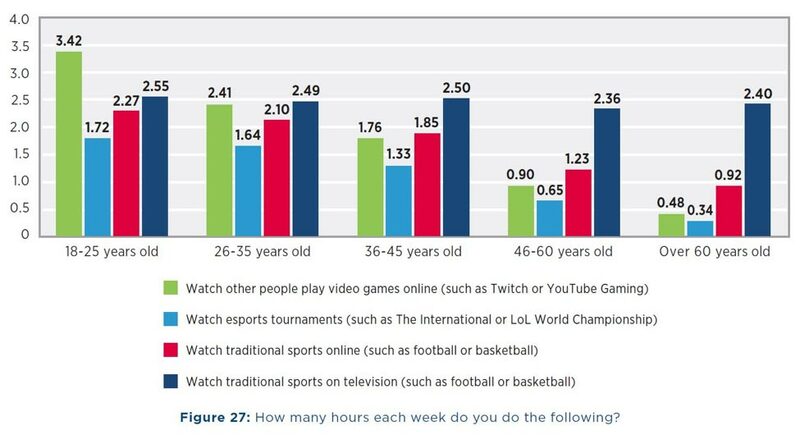 Gamers 18-35 spend more time watching other people play video games than they spend watching traditional sports on television, with gamers 18-25 spending nearly an hour more each week watching online gaming than watching traditional sports. Gaming has become so popular that some schools are adding professional video gaming and esports to their curricullum. This carer path seems to be quite appealing, with nearly one-third of gamers who work saying they would quit their job and become a professional gamer if they could support themselves by doing so. Gamers are downloading games and playing online more than ever before. As they spend more time online, their expectations grow. 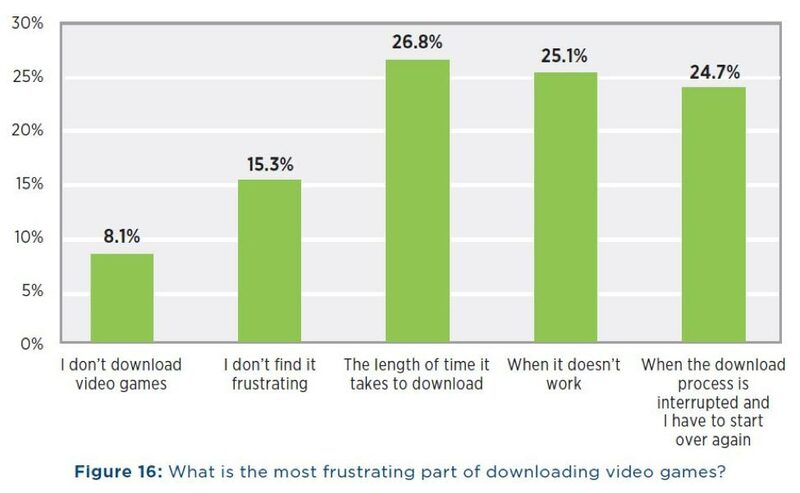 Three quarters of gamers are frustrated by the download process, and 57 percent will not play games or make purchases from a site that has previously been hacked. Learn more about how Limelight’s Solution for Gaming ensures your content is secure and optimized for the best possible gaming experiences. Reach an expert to discuss how Limelight can move your business forward.